This is part two of my blog post regarding Alexander Hamilton as well as James Madison as he is featured prominently this week. It seems particularly fitting to blog about this given the decision by U.K. voters to exit the European Union. Hamilton and Madison believed that factions were the greatest risk to good governance, especially when there are highly emotional issues of great consequence. I encourage you to read this with the Brexit in mind. Hamilton and Madison focused intently on what makes a union strong and what the risks are to that union. I really don’t know if the U.K. made the right move with Brexit or not but it was so smart to never cede control of its currency and adopt the euro, which makes leaving the E.U. much easier than would be the case. In addition, there are some deep flaws in the design and governance of the E.U. so it’s understandable why a large number of U.K. voters would not want to subordinate some of its sovereignty to a very bureaucratic, superstate that has been ineffective in many ways. Madison takes over with number 10 and does a brilliant job of defining what a faction is, how human nature combined with inequality in terms of property can lead to factions, and how the effects of factions must be the primary focus versus eliminating the cause of them. I will end this post with some powerful excerpts of #10. AMONG the numerous advantages promised by a well-constructed Union, none deserves to be more accurately developed than its tendency to break and control the violence of faction. Assume Idiots Will Be in Power – Brexit? Finally, I just have to throw this last one in for investors because it has such great applicability. When reading faction, think of the crowd and investment bubbles. What are your thoughts on Brexit? 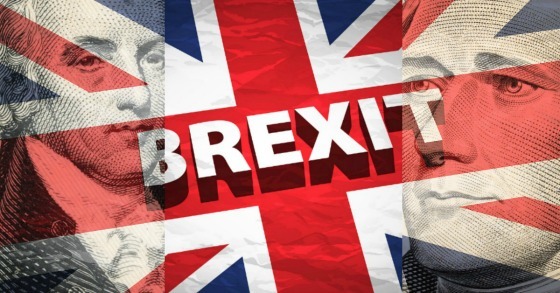 Will the economic impact of Brexit be felt primarily in the near term or long term? Also, when Hamilton and Madison expressed their belief that factions are the biggest risk to any government who knew that almost 230 years later the same would still hold true? Factions are threatening the US as well and not just those based on wealth. It seems that we are becoming a nation of special interest groups based on wealth, gender, sexual orientation, race and guns. The voice of special interests gets louder and the cohesion begins to disappear.